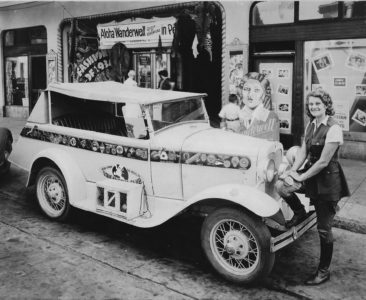 Aloha Wanderwell Video Biography – Official documentary of the first woman to drive around the world. Her life achievements & global adventures beginning at 16 years old. Born in Canada as Idris Hall, Aloha was drawn to adventure and the thrill of traveling across uncharted roads in faraway lands very early in life. 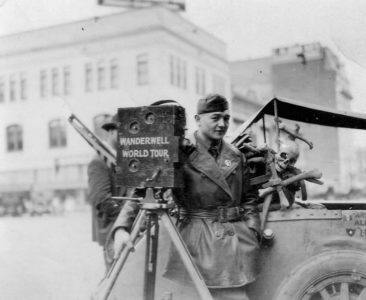 This rarely seen footage of adventure filmmaker Aloha Wanderwell Baker, the first woman to travel around the world by car, was recently preserved by the Academy Film Archive. 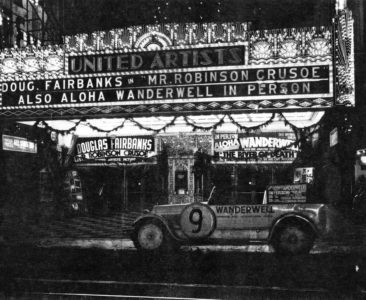 The Aloha Wanderwell Film Collection at the Archive is a unique assortment of 16mm and 35mm films, revealing the story of Aloha’s around-the-globe adventures that captured the people, cultures and historical landmarks of five continents from the 1920s and 1930s. Aloha Wanderwell Baker’s only sound film, The River of Death (1934), from the Library of Congress. One of three films she assembled from a 1930-1931 trip she and her husband took to the Mato Grosso region in Brazil. The first aerial circumnavigation of the world was conducted in 1924 by aviators of the United States Army Air Service. 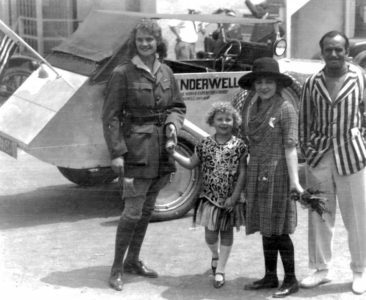 Halfway around the world, the Wanderwells’, circling the globe by car, meet the American flyers circling the globe by air. 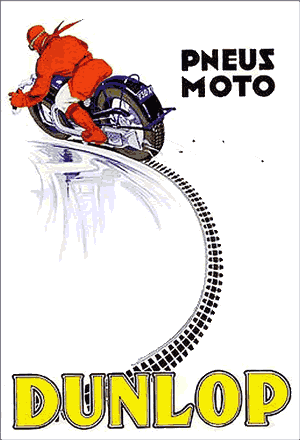 Their historic reandevous takes place in Calcutta, India in 1924. Detroit Newsreel from the 1920’s shows “Detroit Tourists” Walter and Aloha Wanderwell arriving in Bucharest. Captain Wanderwell pays a visit to the Romanian King. Original footage from July 1923 shows the Wanderwell expedition arriving with their Ford Model-T’s in Holland. A busy day photographing the bonneted girls strolling arm in arm along the sea dike in their Sunday best, the robust children, elder fishermen clenching their grille-covered tobacco pipes, the fleet of squat fishing smacks, their fish nets drying in the fall sun. Restored home movie filmed by Walter Baker at their home on Lido Island in Newport Beach, California. Aloha is pictured with her mother Margret V Hall, sailing in the Ensenata sailboat race to Mexico. Shots of Newport Harbor, Aloha’s patio and Siamese cat “Sinbad” with Mr. Humphrey Bogart at the Balboa Yacht Club in 1949. Your trip to things adventurous is what the Passion Play is to Religion. But I was to remember how the confines of a car, its reassuring purr and motion breeds an extraordinary sense of isolation, intimacy… privacy.